Please note that this current website does not have a shopping cart. 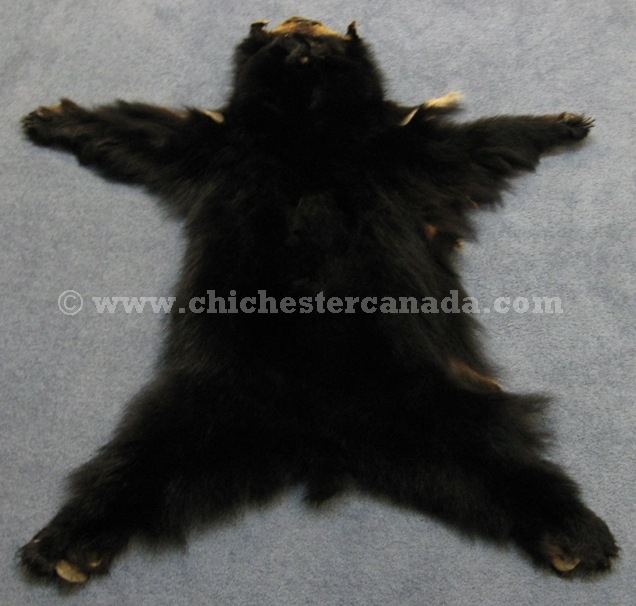 To buy our Black Bear Skins online, please go to our e-commerce website at NaturalExotics.ca. The Black Bear Skins come with the head, and may be with or without claws. The hair is 3" to 4" long. 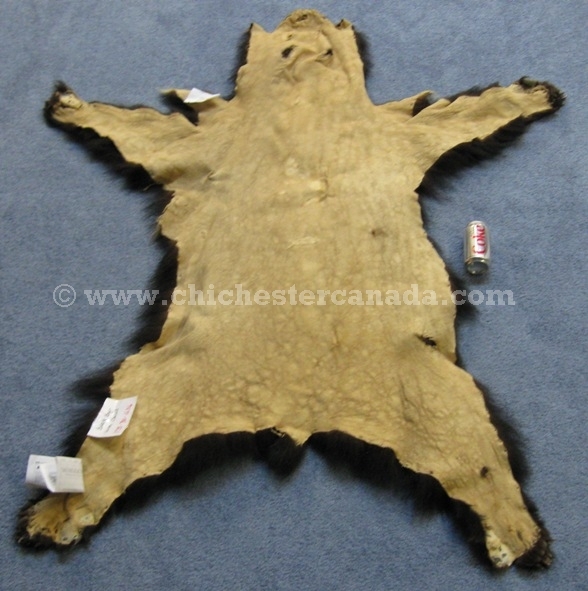 The skin does not include the skull and is not mounted (with eyes and teeth, etc.). They lie flat and do not need a backing. They do not shed. We usually take more pictures than we post on the website. Please ask if you want to see more pictures or closeups of the hides. 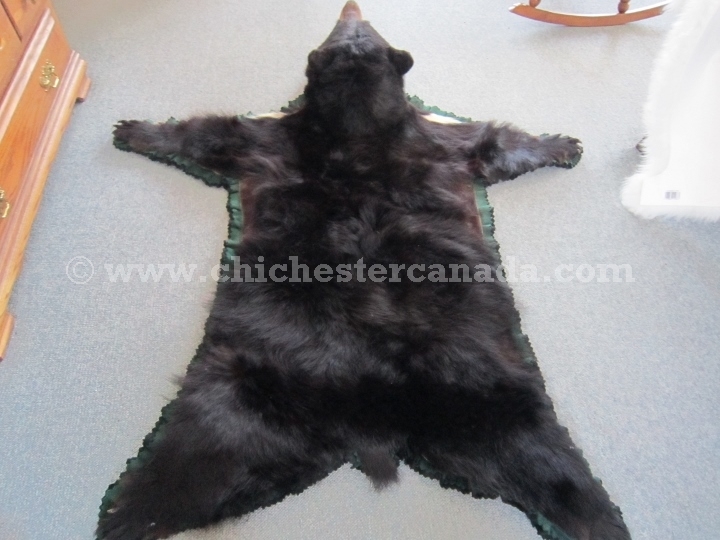 The Mounted Black Bear rugs have glass eyes, and are mounted on black and green felt.